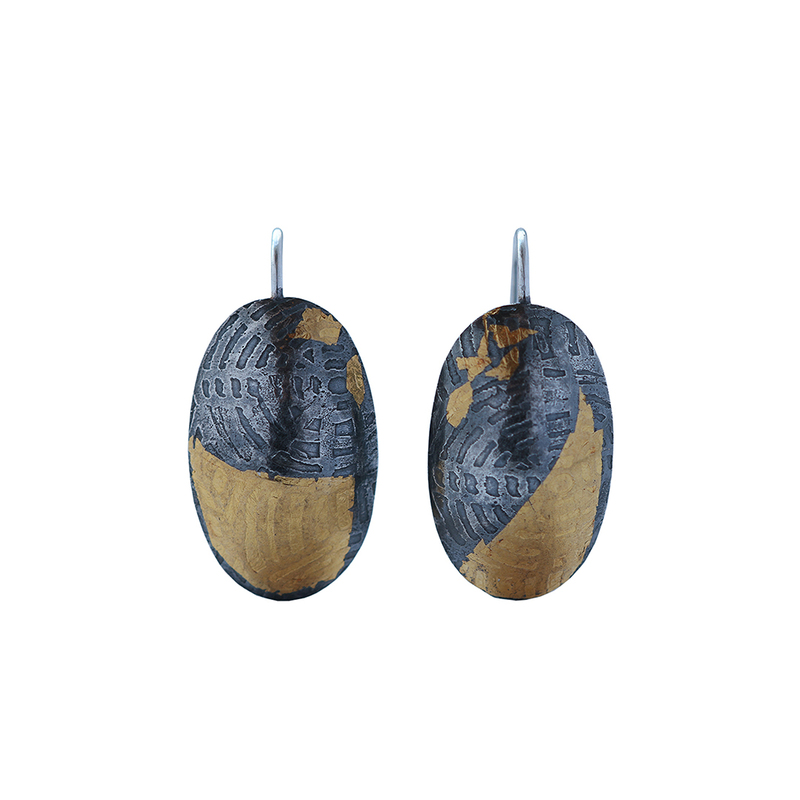 Completely shaped by hand hammering these earrings are beautifully etched with a geometric pattern. Decorated with 24ct gold leafs using the ancient Korean technique Keum-boo and then oxidised to enhance the tridimensionality of the pattern. They are a one-off piece however, the model can be commissioned with different patterns. Materials used: Silver, etching, patina, 24ct gold foil. Size: 2.5 x 1.2 cm.